Home » Sweet and Spicy Foods You’ll Love! New and exciting flavor combos are all the the rage right now, and you know me-I’m so trendy, right? 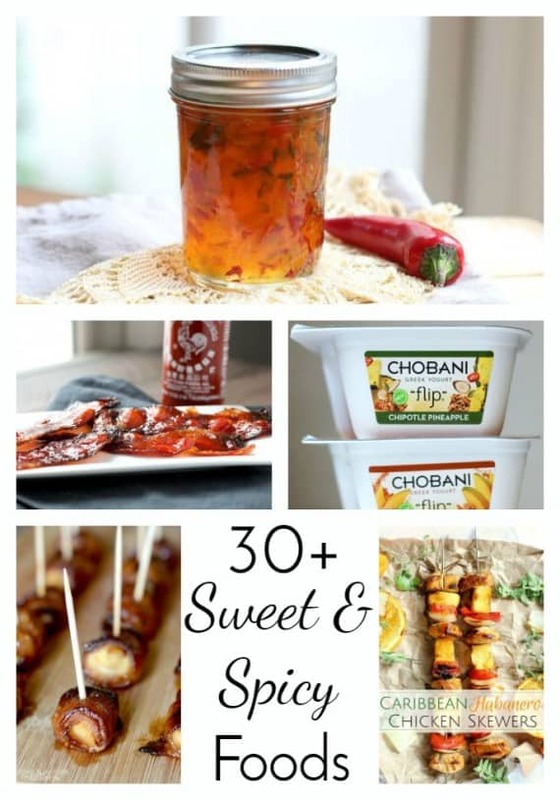 😉 I live to serve, so I put together over 30 ways to make your life sweet and spicy. Because Chipotle Pineapple is the new Salted Caramel. (You heard it here first!) Thanks to Chobani for sponsoring this fun collection! I had a friend in high school who would dip french fries in her milkshake. I thought she was so weird. Why on earth would you take a hot, salty fry and then dip it in something freezing cold and SWEET? Well, it turns out she was not alone, and apparently way ahead of the trend of flavor combinations. (Helloooooo, salted caramel!) Now that I’ve grown up and developed my palate a bit, I really enjoy trying new flavors. Most often you see sweet and salty combined or even sweet and sour, but I went searching for some great snacks and recipes that feature the marriage of SWEET and SPICY and now I have a list of delicious new foods to try! We tried the new “flip” cups from Chobani recently and now my refrigerator is full of them. They have so many flavors and Jared went on and on about the salted pretzel caramel flavor. It’s perfect for dessert. But for a sweet and spicy twist on breakfast, I’d go with one of these! Something magical happens when you grill pineapple. It caramelizes all the natural sugars and adds a new depth of flavor to this refreshing salsa. Peppers and pineapple go together so well, and this salsa is perfect for carne asada or fish tacos, too! One year we hosted Thanksgiving at our house because most of the family was out of town for the holiday. 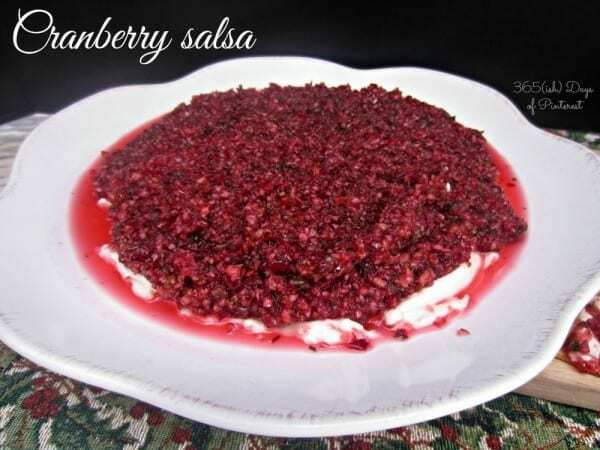 I decided to do something a bit different for cranberries and tried this cranberry “salsa” served over cream cheese. It was such a delicious appetizer and it looks so pretty on the plate! My fledgling photography skills didn’t do it justice. 😉 The heat from the jalapenos and tart cranberries are perfectly balanced with the cream cheese and salty crackers! 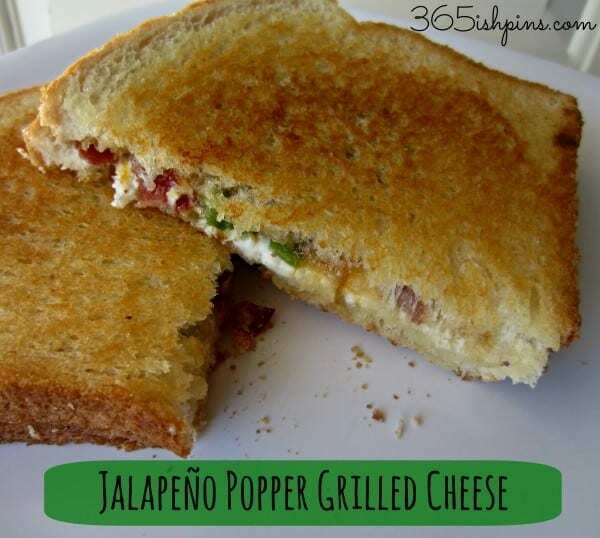 Jalapeno Popper Grilled Cheese sandwiches aren’t just spicy. They are creamy, sweet, spicy and just plain old AWESOME! The sweetness comes from apricot preserves (or even concord grape jelly) and cream cheese. I know it might sound weird, but trust me. TRY IT. Are you craving chipotle, sriracha or jalapeno yet? Did I miss anything that you think I should add to the list? I’ll admit, my shopping list kept getting longer and longer as I checked out all these great recipes and snack ideas! 🙂 The easiest one to try would be Chobani Flips. You can get them at any major grocery retailer. Let me know which flavor you try and what you think of it! What a great collection of recipes. Glad I saw this before I made my shopping list. YUM! That cranberry salsa looks and sounds delicious! That would be the perfect combination of tart and spice! My kids always dipped their fries in their milkshakes too. I’ve never understood it. You have some great recipe options here for sweet and spicy foods. 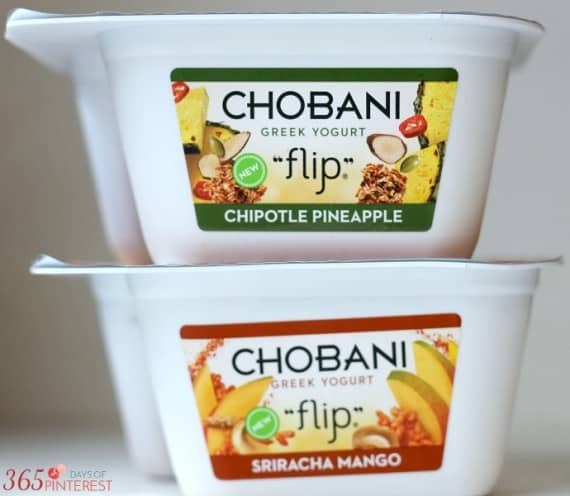 I love chobani flips, but I had a hard time with these sweet and spicy ones. I think I’ll stick with the traditional ones, haha. But I normally do love a good sweet and spicy combination – you have some great ideas here! I recently started eating Flips and love them! I haven’t tried these flavors yet but they do sound good. I am not too into the spicy, but my husband is. He would love to try all of these! I have a real love for all things spicy! These recipes sound fantastic!! 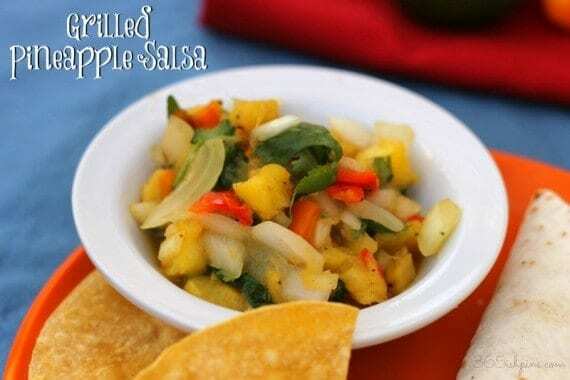 Grilled Pineapple salsa is one of my favs!